Summer heat seems to be intensifying each year. So many are asking how can we possibly stay cool during the summer? AC of course!!! Here are some tips and tricks for living without air conditioning, but what will you do if an earthquake, flood, or tornado knocks out the power grid? If a major disaster happens during the sweltering summer heat, it is necessary to stay cool and hydrated. This is an issue that not enough people think about. You cannot underestimate the effect of overheating. Did you know that around 400 Americans die of heat every year? The National Weather Service actually claims that overheating is the number one weather killer. And keep in mind that this info is recent. Most Americans already have access to air conditioning!! So, as preppers and survivalists, we need to do something about this problem. 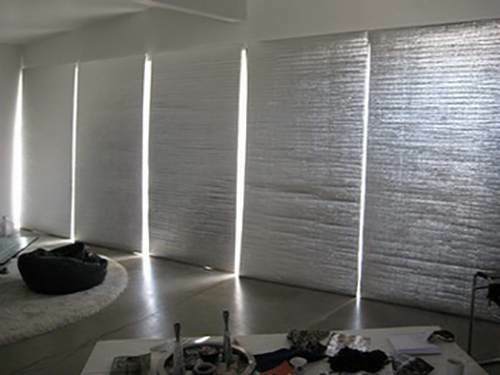 You could go out and buy the best money can afford thermal insulated blackout curtains. Or you could simply make your own. Just be sure to place curtains that completely cover your windows. Remember black attracts heat so lighter colors work well. The main purpose is to keep the suns overbearing rays from coming inside and baking everything and everyone inside. This is a very important step to take. You don’t want any cool air you end up generating to escape outside. This is why it is so high on this list. 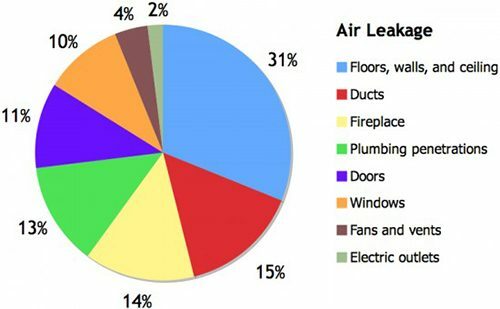 So, make sure to check around your doors and windows for air leaks. You can use caulk or weather stripping to seal everything up. This tip depends on where you live. If you can’t plant trees, you are out of luck. You can go ahead and skip to the next one. 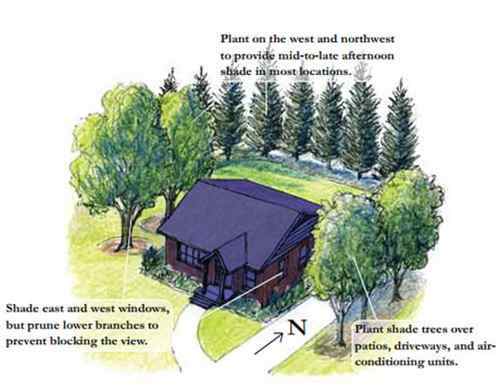 If you don’t have any trees around your house you should definitely start now. Think about where the sun hits your house every day. Which windows and doors? 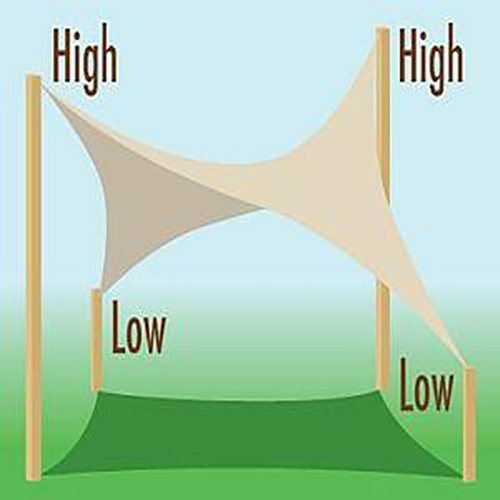 These are the areas that you want to provide with shade. You may brush this tip off but trust me, it makes a huge difference. If you can’t plant trees for shade, then think about installing some type of fixture to hide the sun. You can use awnings, outdoor shutters, or blinds. This technique works great because instead of trying to get rid of the heat, you won’t let it come in. It’s surprising how effective vines are at keeping a house nice and cool. They can actually lower the incoming heat through your walls by 50%. They also grow quickly and can provide immediate benefits. 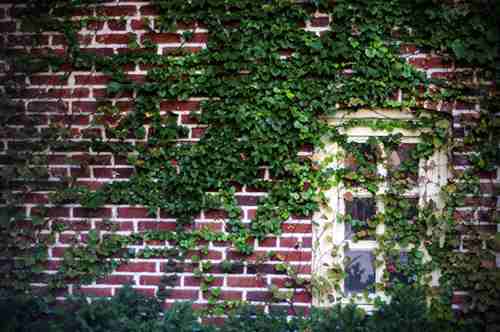 You don’t want to damage the walls so it is essential to do your research on which type of vine is right for your house. This tip depends on the weather. If there is a breeze or a decent amount of wind open your windows and doors. Make sure to keep them covered with curtains though. You don’t want direct sunlight coming in! This will help to circulate new, fresh air throughout the house. If there is no wind you obviously want to keep your windows closed during the day. As soon as the sun goes down however, make sure to open windows and doors back up. If you live on your own land and are up for some digging, making a cooling cave could help to keep you cool during the hot summer months. Think about the past, when there was no electricity or modern inventions to keep us cool. How did our ancestors do it? A long time ago people lived in caves. Why? The ground is a natural insulator. It takes a long time to heat but also a long time to cool. This project will be useful to you and your family all year round. You can find plans on the internet or just design your own. I will give you some of the basics. It’s pretty much a big metal box in the ground that has entry and exit for air. It should be at least 4 feet underneath the ground. If you make it big enough, you essentially made a basic cave house. Or a bunker. This works so well because in many places the average underground temperature is 55 degrees year-round. Running two fans through the cave to the house gives you free A/C! You can run the reverse during the winter, just be sure to either have one huge cave or several small ones. Heat only becomes worse with humidity. 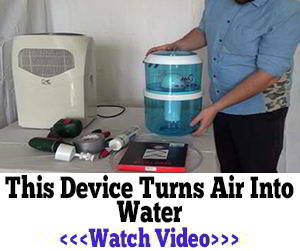 So logically, removing as much humidity from the air as you can will help you feel cooler. The reason it’s hard to cool down with high humidity is because our sweat has nowhere to evaporate with all of the moisture in the air. It’s basically like being stuck in a sauna. 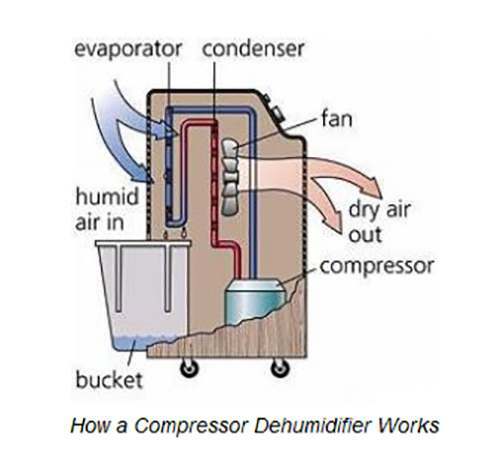 You can buy a dehumidifier online or in a store. Or if you like keeping it natural, there are a bunch of guides online on how to remove humidity naturally. 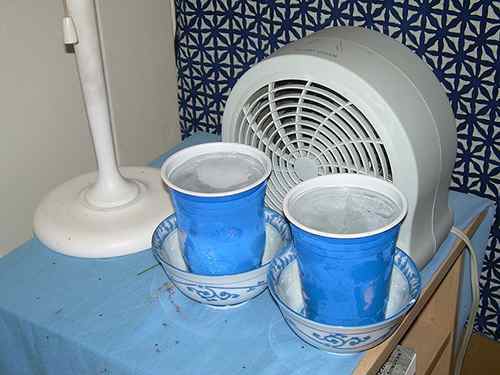 Swamp coolers, otherwise known as evaporation coolers are useful and pretty easy to make. But contrary to the name these won’t work in a very humid area. Swamp coolers work best in a dry hot climate. There are many in-depth guides online showing how to build these for very cheap. This can help cool off your house when there is a breeze. Simply wet a sheet or your curtains and the wind coming in from outside will become noticeably cooler. Heat rises. Everyone knows that. And your basement is most likely at least partially underground. Basements can be 10-15 degrees cooler than the main level of your house. Unplug all unnecessary appliances and try not to run them during the day. Anything plugged in, even if it’s not running will generate heat. Also, many common appliances generate heat. Things like washing machines, dryers, and stoves. Wash your clothes early in the morning and line-dry your clothes outside instead of heating up the house with your dryer. You have followed some or all of these tips to keep your house cool. Don’t ruin it by cooking inside. Stove tops and ovens generate so much heat, even after you’re done cooking. 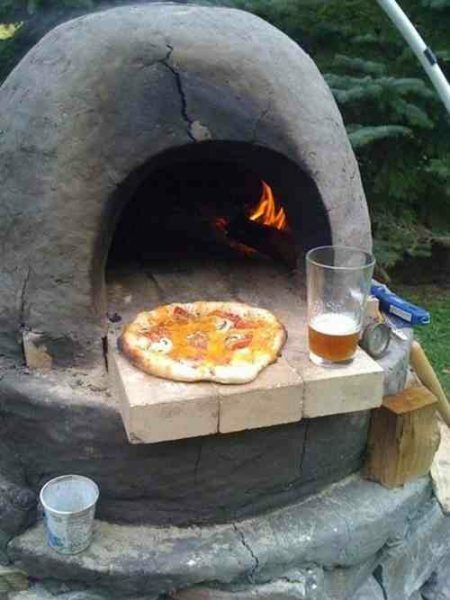 You can cook with your grill or get a simple propane burner or you can make your own rocket stove for free. If you have to cook inside, cook during the early evening hours and open the windows to get that hot air outside. I believe that we have lost the connection to the outdoors and our understanding of nature. Our ancestors had already figured out how to keep cool a long time ago. We simply forgot with all the new inventions nowadays. Most of the tips in this article are related to how we used to live in the past. Think about castles with trees everywhere and vines crawling up the sides, kitchens placed outside of the house, and living in caves. The examples are endless. Good article, but I see no mention of refrigerators in the tips. They generate a “ton” of heat in order to make things “cooler”. Of course, in a power outage it wouldn’t unless you have an attached electrical generator or solar panels. Take hot showers outdoors instead of indoors. When I was growing up our car didn’t have a/c .We lived in Tx and daddy got a block of ice and put on floor by the outside vent it kept it cool while traveling to West Tx . So I’ve done that putting it in front of a fan as we don’t have a/c here in Fl. Hey don’t forget the foods that help refrigerate you. Cool as a cucumber is not just an expression. It really works. Cucumbers in your garden can help you make it through the hot times. Also tarragon can help. A cold soup made of cucumber and tarragon is not only tasty but can help you endure the heat of summer. For whatever reason I have found that drinking grapefruit juice cools me down as well. Closing up the house in the morning when it starts to heat up outside, and opening all the windows and doors after it starts to cool down at night works wonders. Best yet? Insulated exterior rolling shutters. Keep the heat from ever getting in! They aren’t cheap up front, but they will keep you cool in the summer and warm in the winter. Opening them on sunny days in the winter will warm up my house 5 degrees — as long as I am top of it and close them when the sun stops shining in. Excellent substitute? Polyisocyanurate insulation, cut to fit in your windows. You can cover them with fabric to look nice (and buffer sound, too), and just pop them into the windows when the sun starts beating down, or when it starts heating up outside. I started using them in the dead of winter to help prevent heat loss in the house, and they worked great. You could tell how much less convective heat loss there was as soon as you put them in. Another wonderful invention is SolaTube tubular skylights. They let bright, natural wavelength light into your house, and the dead air space between the clear plastic top on your roof and the clear plastic diffuser inside keeps anything from heating up, they don’t need electricity, and you won’t mind closing the curtains/blinds/shutters because it will be bright inside the house. I’ve tried other brands, but that’s the best by far. If I had time, I’d become a dealer for them. Amazing light. Ditto on the SolaTube. I’ve had a number installed in bathrooms and hallways for over fifteen years. Get a metal roof..Best way is installed over your original( or one layer) of shingles..They put down wood strips before the metal roofing…adds a couple more inches of insulating space…Saves me hundreds a year! Best purchase of my life! One time purchase Will out live me..LOVE!! !